Condition: Generally very good for age. Some repairs to the pile. Minor losses at the ends. Notes: An absolutely lovely Heriz. This one is typical in that it uses only the best natural dyestuffs and superb hard-wearing yarn. The construction is typically massive with heavy cotton wefts and warps. 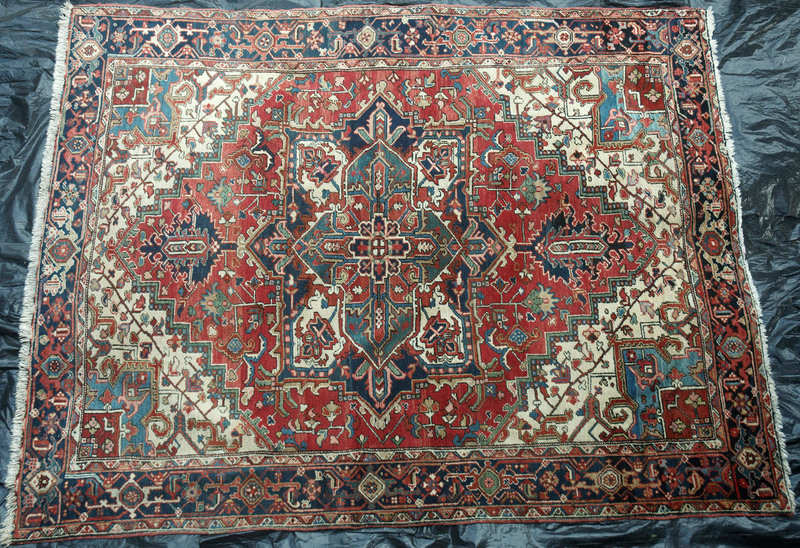 Although the weave is coarse in these Heriz's they are excellent carpets. Nowhere else do carpets this coarse have such a good construction or so much individuality of design and colouring. All the natural colours are stunning, but especially fine is the pale eggshell indigo blue.